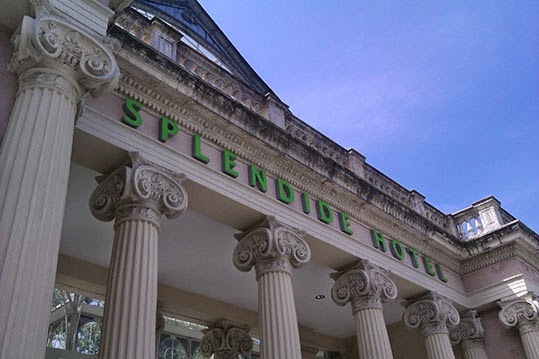 The Splendide Hotel by Dominique Gonzalez-Foerster (b. Strasbourg, France, 1965) takes the visitor on a journey through time and space, whereby literature and theatre play a key role. 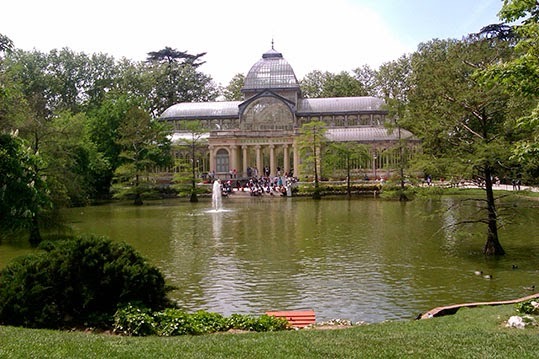 Not long after Rimbaud's poem Aprés le Déluge gave rise to the fictitious Splendide Hotel, the Palacio de Cristal in Madrid's Retiro Park was designed as a greenhouse to exhibit flora from the Philippines as part of the General Exposition of 1887. That year also saw the launch of the Hotel Splendide in Lugano, which shared names with a hotel in Évian-le-Bains, a favourite of Proust. 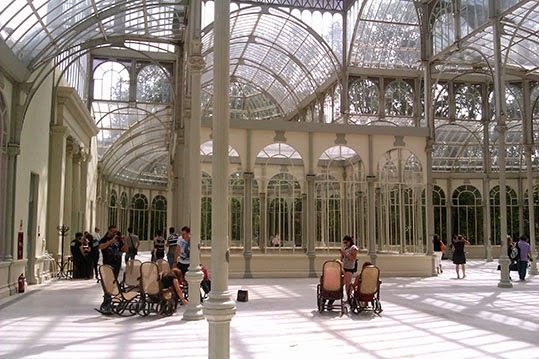 From 13 March - 31 August this year, the Palacio de Cristal is transformed into the Splendide Hotel. 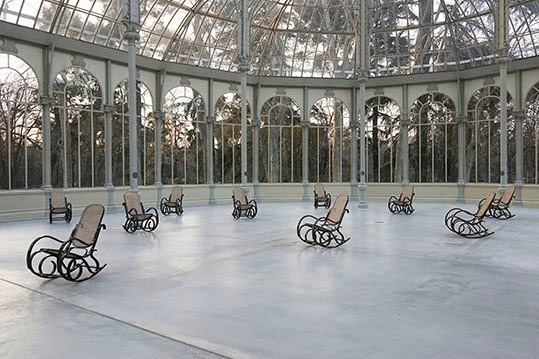 The project may prove to be a site for quiet contemplation, allowing visitors to relax on a rocking chair and have the option to read a book tied to the furniture by authors such as José Rizal, Dostoyesvsky, Rubén Darío, H.G. Wells and Vila-Matas. 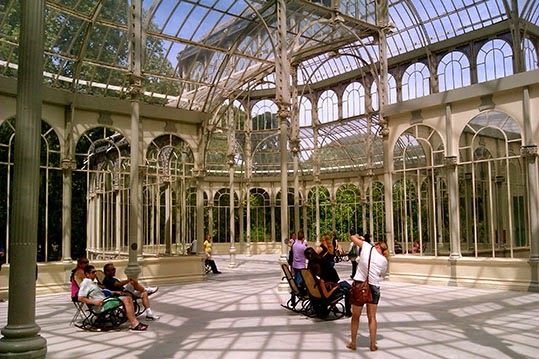 In contrast, due the the sheer number of people taking selfies and such at busy times, the space firmly places the visitor in the rushed and self-obsessed present. 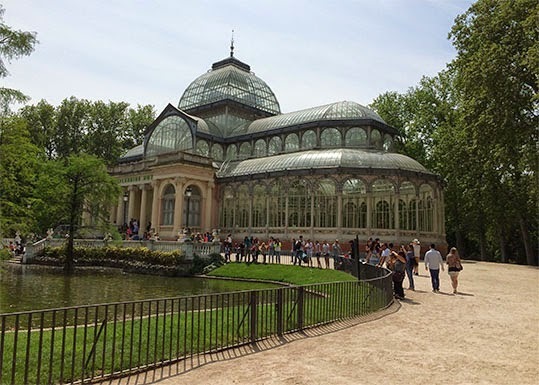 As such, the work is fruitful both in its successes and failures, enabling guests to imagine the 'ghosts' of times-gone-by or simply interact with the work on a superficial or even superfluous level. 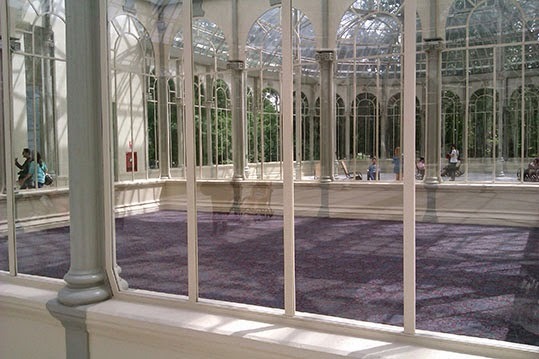 Images 2 and 3: Installation view, Dominique Gonzalez-Foerster, Splendide Hotel, Palacio de Cristal, Museo Nacional Centro de Arte Reina Sofia, 2014. 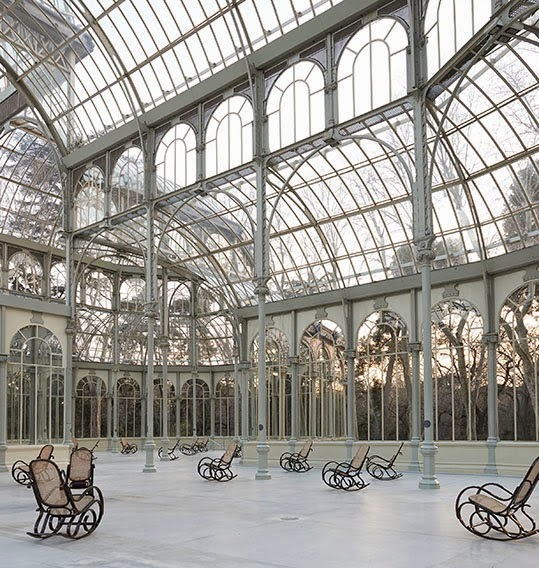 © Museo Nacional Centro de Arte Reina Sofia, 2014. All others images © ArtworldNow, 2014.